On Saturday, Apr. 25, the annual recognition dinner was held to celebrating those who stood out in different aspects amongst Buena Vista University (BVU). The class of 2015 was dispersed into numerous categories, and one of the main categories that dipped into a variety majors was the Senior of the Year award. 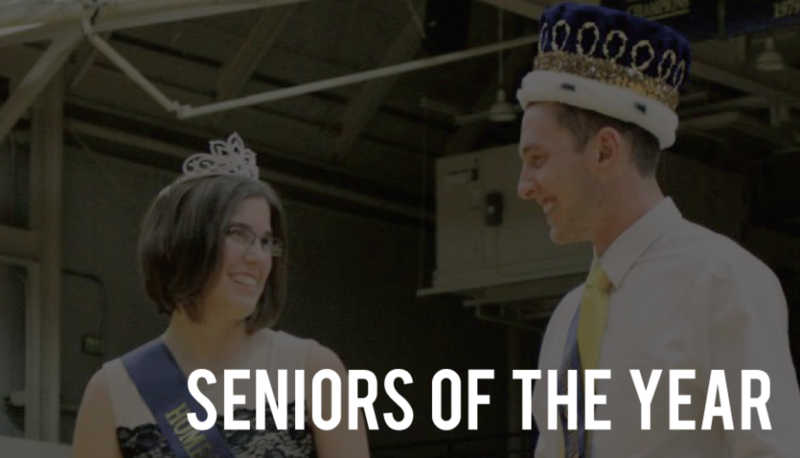 Ian Grigsby and Beth Weber, this year’s Homecoming King and Queen, were commended this honor, and both share how their experience at BVU changed their lives. Grigsby has been involved in baseball and the Outdoor Adventure Club (OAC) for four years, has been an Academic Assistant (AA) for three years, and also has been part of Adventure Leadership Program Scholars (ALPS) and worked at the Center for Academic Assistance (CAE) for two years. Grigsby explains how these experiences at the university have shaped him in many ways. Weber, sharing the same blocked schedule, has been involved in a number of activities during her time on campus. She has been involved in the Science Club and Outdoor Adventure Club (OAC) for four years, has been a member of Students Concerned About Tomorrow’s Environment (SCATE) for three years now holding the role as President of the club, ACM Computer Science Club for three years, and also has held the position as a Residential Assistant (RA) in Pierce/White for two years. Although these organizations have provided a lot of insight for the two, both have formed an understanding of how important it is to maintain relationships as well as take care of oneself during college. “I regret missing the opportunity to share the happy moments and the sad moments. I regret being too busy. When your time is devoted to multiple clubs and organizations, you make yourself a good candidate for Senior of the Year, but you void yourself of the opportunity to be human with the people close to you,” Grigsby said. In light of leaving, Grigsby and Weber share their best advice on how to survive during their four years at the university. Weber interjects with the importance of time-management and how college is a reality-check. “You may think that you understood this in high school, but all of a sudden there is nobody there to keep you accountable for if you do your homework or not. Make a point to find a balance of work and play, and enjoy your time here because it flies by,” Weber said. Grigsby will be heading off to Baylor University this upcoming fall to obtain his Mathematics PHD, and Weber will be attending graduate school at Illinois State University in order to obtain her masters in Biomechanics.